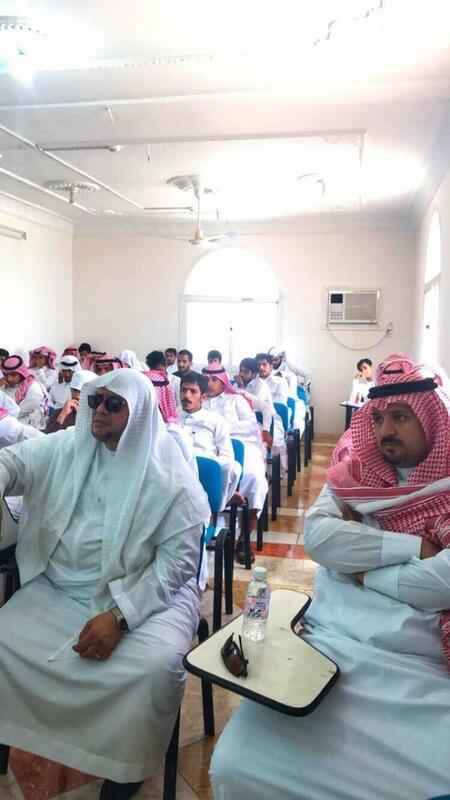 In the presence of His Excellency the Dean of the college Dr. Sa`id Al-Qahtani, His Excellency the Vice Dean of the college Dr. Abdullah Al-Baqmi, Their Excellencies the heads of the departments, academic staff and students, a lecture entitled, "Einstein and Relativity", was held. 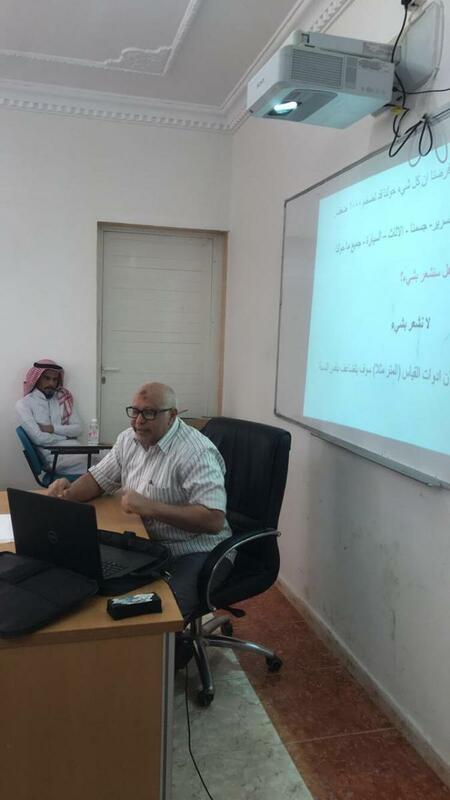 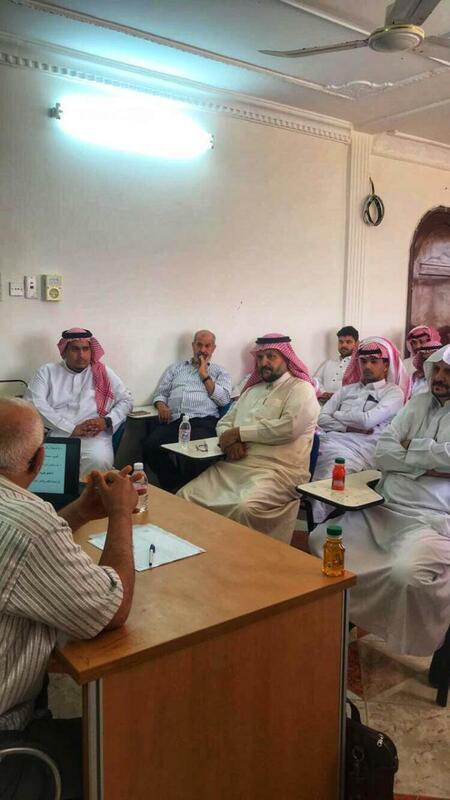 Prof. Mu`taz Darweesh, a faculty member at the Department of Basic Sciences, kindly gave the lecture. 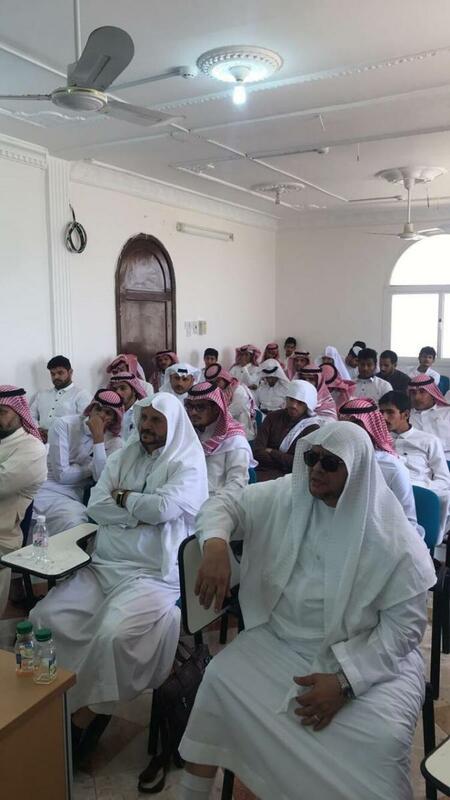 The lecture began with a brief history of the physician Albert Einstein, then a presentation of the laws of classical physics and how modern physics, after the emergence of the theory of relativity, was able to correct some of the concepts and laws of classical physics. The equations of relativity were presented after the failure of the Michelson and Morley experiment. 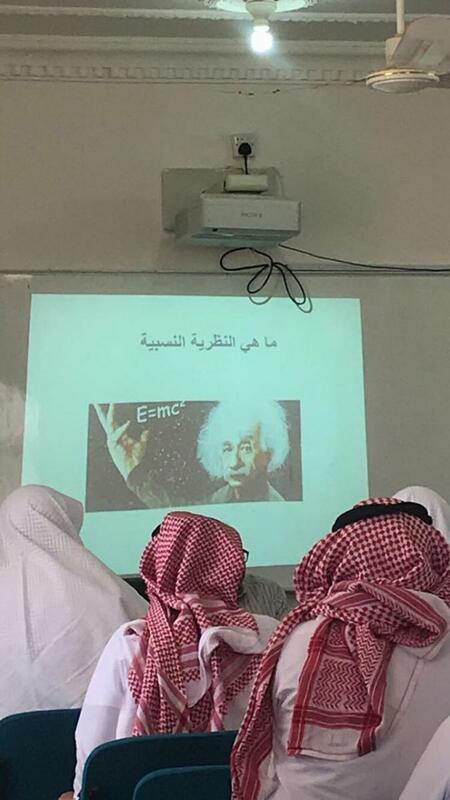 At the end of the lecture, the theory of relativity was linked to some verses of the Noble Quran, with comments and inquiries from the academic staff and students.